Are you tired of milk letdown ruining your day or shirt? Then it may be time to invest in more high quality nursing pads. Today we are reviewing the Lansinoh Ultimate Protection Nursing Pads for Nursing Mothers. The Lansinoh Ultimate Protection Nursing Pads For Nursing Mothers can absorb up to 20 times its weight. They are the most absorbent nursing pads from Lansinoh. It works well for nighttime use, but will work well during the daytime as well since it is not bulky. This is made with soft lining and air pockets, so that the skin stays dry. They are made in a contoured shape, and are comfortable to wear even when wet. It is made to be thrown away once it becomes wet. Each nursing pad is individually wrapped so that they stay clean and safe. The nursing pads also have two adhesive strips, which keeps the pad in place. There are three different nursing pads from Lansinoh to choose from. There is the Ultra Soft, Stay Dry, and the Ultimate Protection. The one that I'm reviewing today is the Ultimate Protection. The others are not as absorbent, and therefore will not work as well for women who leak a lot. In the box you will receive 50 nursing pads. As of this writing there were 247 customer comments and 6 answered questions for the Lansinoh Ultimate Protection Nursing Pads For Nursing Mothers. I've read through the customer feedback, and then condensed the results into this review. I hope that this helps you when shopping for nursing pads. "They are super absorbent and it really keeps that horrible smell of dried milk that sometimes comes up once you have been out wearing the same breast pad for hours." "The size is great and it has got a center where it absorbs everything perfectly. I would recommend this brand above all others." "They have a higher price than most, but you also won't go through as many as a lot of other kinds." "I like that these have sticky tape on the backs so they can adhere to the inside of my nursing bra. This is helpful when I’m pumping and don’t have a place to put them." "I'm just happy with how comfortable they are. I don't feel like it's scraping my chest compared to the original pads." 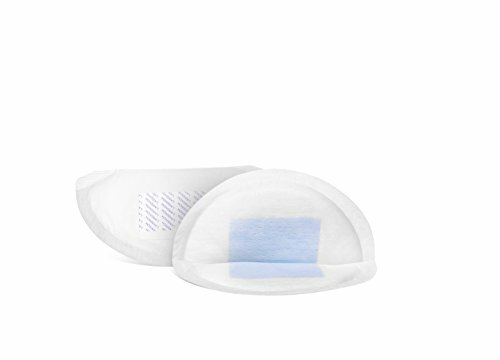 The Lansinoh Ultimate Protection Nursing Pads For Nursing Mothers are disposable nursing pads that are higher priced than some, but worth it according to women who used them. They are comfortable, absorb a lot of milk for the thin size, and they have a sticky adhesive that keeps them in place. This is one of the most talked about and popular nursing pads on the market today and for good reason. I hope that my review of the Lansinoh Ultimate Protection Nursing Pads for Nursing Mothers can help you decide if these are the nursing pads for you!